Abuse of prescription drugs is a serious problem that policy makers across the country are fighting diligently to curtail. Prescription drugs, particularly opiates, are among the most fatal when abused, and addiction to opiates is growing among individuals of all ages at an alarming rate. Attempts to crack down on the abuse of opiates, however, may be working quite counter to their intentions to reduce the number of individuals facing addiction. Policy officials attempting to strategize as to how to effectively manage opiate abuse have closely watched the information emerging from Washington state, which currently has one of the strictest policies on opiate prescriptions in the nation. The data that has emerged has been less than sunny. In Washington, patients who are prescribed pain killers may be subject to random drug tests. They may also be required to consult with pain management specialists before receiving a prescription of any kind. Washington’s stringent laws on opiate dispensing have had the intended effect of reducing the number of recorded prescription drug addicts. Unfortunately, however, they seem to have also had the effect of increasing instances of heroin abuse in the state. The rise in heroin abuse in Washington since prescription laws have changed hardly seems negligible. Over the last five years, instances of criminals testing positive for heroin use have jumped a whopping 167%. 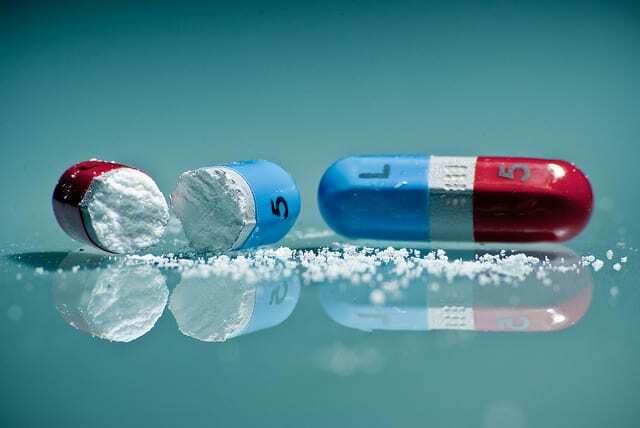 It seems that the situation in Washington indicates what addiction therapists and doctors have long known: that a person who is addicted to a drug will find a means of procuring said drug at almost any cost. The chemicals in opiates are very similar in make up to the chemicals in heroin, and pill addicts who suddenly found their supply “cut off” likely moved to heroin as a way of getting their fix. This seems to suggest that legislation that limits access to opiates addresses the symptom of the problem and not the cause. Drug addiction is a very complicated disease that has a number of causes, which vary from individual to individual. Limiting access to a certain form of a drug does not address the complicated issue of addiction. Rather, it changes the types of habits users are forming. Many officials may look first to opiates when searching for ways to reduce instances of abuse because opiates, unlike heroin, are regulated. Since heroin is sold on the black market, it is much more difficult to track users and to place limitations on their access to it. Unfortunately, because heroin is not regulated, it is in some ways more dangerous than prescription opiates. Heroin is often consumed intravenously, which means that in addition to the risks posed by the drug itself, users are at higher risk for contagious diseases like HIV. Black market heroin also varies in strength and both long time and users are at a high risk for fatal overdose. Though the data surrounding Washington laws suggests that opiate restrictions may be producing an undesired effect, the regulations may be more effective than they seem at first. Much of the data surveyed is based on criminals who were tested, meaning that addicts who were not committing crimes may have dipped dramatically. It seems that the shift towards heroin use in criminal addicts has been largely attributed to pill addicts who sought other means of consumption as opiates became harder to procure. Stronger limitations on opiates over the course of a few more years may prove to be beneficial as less people become addicted to pain killers in the first place.